Too many salespeople limit their success by adopting a myopic view of how their solutions will be employed by customers. In particular they fail to consider all those ingredients –particularly people and process – that are required to ensure their customer’s success. The customer has a problem, which as part of your sales process, you have helped to first define and then resolve. However, despite what your marketing brochures and sales pitches say, you don’t have the total solution. The reality is that your system, solution, or software, no matter how good it is, will only go part of the way to meeting the customer’s total needs. But that is not a problem, in fact seeing things this way can actually provide you with a real sales advantage. 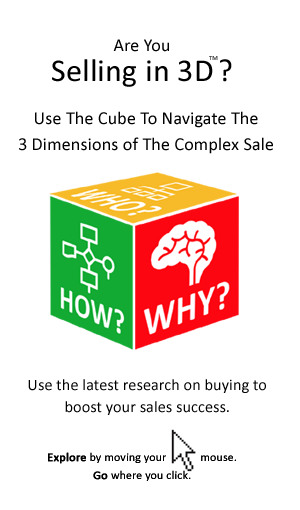 Savvy buyers know that there are 3 dimensions to their needs – that is a people, process and product, or service dimension. 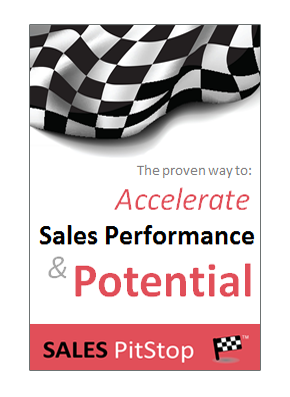 Unfortunately, however sales people tend to focus on just the one – that is their product, or service. Where the product or service being sold involves technology this is a particular problem. As salespeople we know our product inside-out, that includes; benefits, features and technology. That is what they have been trained to sell and are most comfortable with. However, the focus of salespeople on systems and technology alone, is akin to the machines without damnable human operators view of the word. The two other key success factors of people and process are often overlooked. That means we sell our technology with scant regard to how it is going to be used and who is going to use it. Let us take a example: Buyers in life and pensions organisations, for example, need modern back office systems in order to achieve benefits such as straight through processing and improved administrative efficiency. However, the new technology is only part of the solution, with people and process playing a major role in the achievement of success. A new system without changed organizational processes will simply make bad processes more efficient. Similarly, new systems that are not embraced by users will fail to deliver on the results promised. Ironically, if salespeople began to view their system, product, or service, as only a part of the customer’s total needs, they could greatly improve their sales success. This approach however requires a greater investment of time and effort by the vendor to first understand fully the customer’s business, and then to support user adoption and process reengineering. Selling in the context of people and process also requires a greater understanding of how your solutions are implemented by customers and used by users. So, think of the people and the process that are required to ensure the success of the solutions you are selling. Think of how assisting in these areas can differentiate your offering and add value for your customers.